The busy bees marketing the services of emergency helicopters have been spreading the pollen in Texas. I've wondered if the industry's sales force was pitching the need for speed to summer camps ever since I blogged about the father of one camper in Texas who got hit with a bill for $16,000 after his daughter slipped in the shower and was airlifted to a children's hospital with little more than a bump and a scare. When dad asked the camp why he wasn't called or consulted before the decision was made to bundle his little girl into the most dangerous kind of commercial air transport available, he was told he'd already signed a waiver allowing the camp to call a chopper if it deemed fit. Now comes news that San Marcos Baptist Academy a private boarding school south of Dallas has signed "an athletic membership contract with Air Evac Lifeteam" according to the community newspaper. (You can see the press announcement here.) I don't think they're the only school doing this but I've got to wonder, "what can they be thinking?" I sincerely hope that the athletes at San Marcos have no need of any kind of medical transport. But if past is prologue, having that chopper on standby is one hair-trigger decision away from having it dispatched to move an injured athlete. Undoubtedly, this membership contract is going to result in helicopter transports that are risky and unnecessary. How risky? You be the judge. Below is a list of accidents involving Air Evac Lifeteam helicopters over the past twelve years. I've provided a few details on the most recent accidents. But you can read the details on any of them by clicking through to the NTSB reports. Six weeks ago, at four in the morning, an Air Evac helicopter en route to pick up a patient crashed in Arkansas, killing the pilot and the two member medical crew. CEN10FA509. Seven months earlier an Air Evac helicopter made an emergency landing at 1:00 a.m. in Vick, Texas. An investigation determined an essential piece of the horizontal stabilizer was missing. CEN09IA254 There was a patient on board the flight, but thankfully there were no injuries. When Patrick Veillette and I were assembling our Comprehensive Air Medical Services database we found that the eight hours between ten p.m. and six a.m. are the most dangerous hours to fly by helicopter medivac. Nearly half of all the EMS helicopter crashes take place during this time. Further, nighttime accidents are more likely to be fatal. Air ambulance accidents that occurred at night were almost four times more likely to result in fatalities than those occurring during the day. But day or night, air ambulances have proven to be a tool best used judiciously. Unfortunately, the air ambulance industry shows no desire to slow its rapid growth so that in places like Texas, helicopter companies are literally falling all over each other to carry the injured and the nearly-so by air. Enough may be enough. The optimist in me believes that when schools and summer camps realize they deal they have made with air transport companies could result in an athlete or camper joining the grim accident statistics, they will wise up and close the door to the opportunistic sales people buzzing to get in. I wonder if Seth Myers, Air Evac Lifeteam CEO or Tim Pickering, their self proclaimed spokesperson with take time out from wining and dining with other air medical leaders in Fort Lauderdale this week to respond to this appropriate use of HEMS aircraft? I wonder if CAMTS will question their Utilization Review during their next site survey? I bet NOT! Good find Christine. Check out Life Flight Network out of Portland. 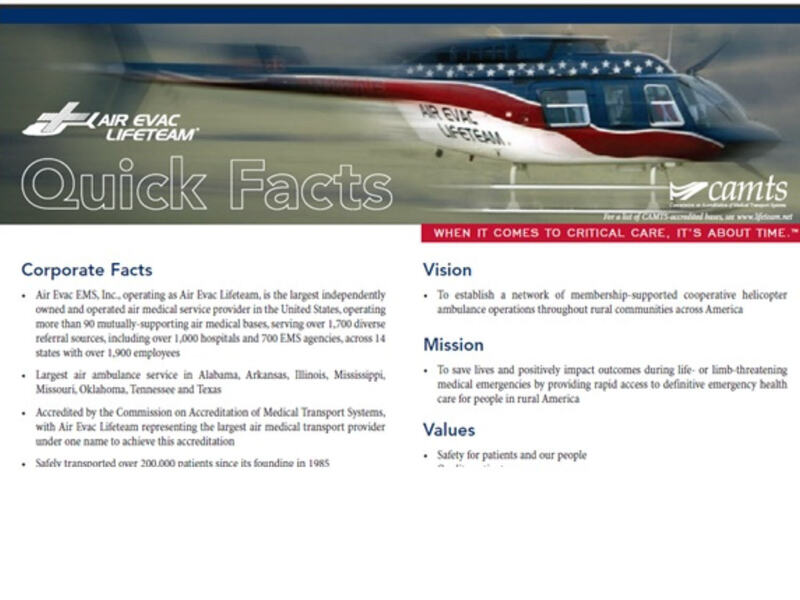 The only difference between that program and Air Evac Lifeteam is Life Flight claims to be not for profit and was able to buy the distinction of Flight Program of the Year last year. Similar in that they both tote so- called membership programs and convince ground ambulances they are the answer to their patients needs. This is well documented and an excellent discussion regarding utilization. Thank you for blogging on this subject. The price of transport, though buffered through the membership program, is far to steep when considering the aircraft used by this service. Other companies are providing much safer transport with better aircraft and doing it for less money. Are those companies going broke? I doubt it. If you want premium dollar, provide a premium service. This company has a very poor safety record. Unfortunately, the general public has no clue about the differences between Air Evac Lifeteam and other air medical services. The membership program is a money making scheme for Air Evac since they know the chance of someone needing their service is very small. Thus, its free operating capital for the company. Unfortunately, they do not spend this money on newer aircraft, safer equipment or implementing the latest NTSB recommendations. Aie Evac has been leading the industry in implementing the ladest NTSB recommendations. I believe that maybe you need to clear and study your facts, maybe go by your nearest facility and ask questions. you beat me to posting that they just bought new Bells... do you know how those Bells are outfitted? in other words, do they represent an true upgrade to the existing service area or just an attempt to expand into new areas? anyone know how AEL stacks up against everyone else that way? Lastly, the link posted earlier addresses a safety stand-down... can some of the mechs and/or pilots reading this speak to whether or not there was a potential issue with that part and the bird that went down in clinton? Actually the primary reason Air Evac is around is to make a profit (its not there "just to help"). Based on the fact that Bain Capital just purchased them in August 2010, Air Evac must be making a very attractive profit. The model of selling subscriptions so that the company can encourage utilization and then bill third parties (ie. medicare, insurance, private parties) is a novel way of doing business (ie. have someone else pay the true cost for the service being provided). I am assuming that without the payments from these other parties, Air Evac and companies like them would be out of business. Can anyone think of a business venture that follows a similar model of membership and billing? Sorry, but It is quite obvious that your blog about Air evac is slanted and you have been fed a line of crap from another air ambulance service or services in direct competition with Air Evac. I have seen it often and heard ALL the stories. Facts are Facts . Out of all the fatalities you list in the accident records 12. One of those fatalities was a security guard that walked into a tail rotor . One of those accidents killing 3 was a rotor blade separation on a blade that was determined to have a metallurgic flaw on manufacture. As for the Skewed idea that they have a "Horrible Safety Record " Air Evac has flown Millions of hours.. YES MILLIONS. Not Thousands, MILLIONS of hours since the very first crash. I'd be willing to bet that if you add up all the Car and ground ambulance collision stats since 1998 I'll bet you find more fatalities in this realm than Air Evac Lifeteam Fatalities. Since the inception of the company ALL Air Evac Helicopters are equiped with APPROVED NVIS 9 Night Vision systems,Radar Alt's , XM Weather and soon to come , Auto pilots . Every helicopter in the fleet that is not Brand new from Bell Helicopter has been through a complete refurb . Striped to the bare airframe and structural mods and or repairs made and all new wiring and Avionics installed . Air Evac is The only company that is approved by Bell Helicopter to perform the power enhance mods, but I guess there wasn't enough room in the blog for some REAL company information. On An Emergency scene it is up to the ground Ambulances on scene that determine helicopter necessity or not ... NOT THE AIR AMBULANCE OPERATOR. sometimes in there assessment they may fly someone that didn't need to fly . If it was my kid or relative with a head injury , amputation , heart condition, stroke . call a helicopter let the trauma facility determine if they needed to be flown or not AFTER THE FACT. In the mean time , unless you are on a committee to ban all EMS Helicopters from operating keep the Air Evac Lifeteam slamming between you and your buddies at Air Methods to yourselves . Air Evac Exists in the rural areas because people want them there and the 800,000 person membership allows those helicopters and there entire operations to be funded, where they are needed and when they are needed. 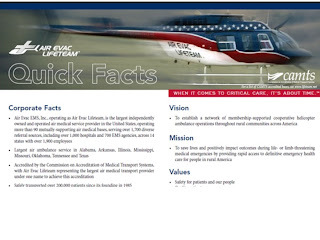 Check your facts regarding Life Flight Network - They are a for-profit, Limited Liability Corporation, not a non-profit (as if their tax-exempt status has anything to do with this). Your comparison to AEL should include all the air medical programs in the Association of Air Medical Membership Programs (most of the programs in the Western US) that offer so called 'Memberships', PHI and any other program that peddles these thinly-veiled insurance policies. Any air medical program that doesn't market itself to ground EMS as the answer to patient's needs would soon go out of business due to lack of requests or from competition by other programs that do. Yes, that's right - everything you said negatively about AEL can just as well be said about many air medical programs. "and soon to come , Auto pilots. . . " Not in our lifetime. They have been telling employees that for 15 years. Still not one on the flightline. "MILLIONs of hours" . . . hardly. Slanted . . . not a bit. This blog just happens to address the entire industry, and one of the examples of a negative event involvede AEL. Kind of like the unfortunate event related in the story, it is easy to poke at the story after the fact. Hind sight is 20-20. I worked for them for 10 years and have seen the downfall in quality. The billing went from an average of $3.500.00 in 2003 to over $17,000 in 2010. 800,000 memberships, representing about 350,000 sales when multi member families are considered, generate another cash cow that feeds the process. Did AEL incrase the quality of aircraft, improve the safety of the aircraft or enhance the performance of the aircraft in that timeframe? Simple answer is no, with the exception of the NVG program. Accidents per 100,000 hours is a good tool. AEL is actually not that bad (compared to the shameful industry average) at about 2.8 per hundred thousand. Unfortunately, everyone dies on their aircraft when they crash. They might be the only ones with the "Bell power enhancement" in the industry, but they are also the only ones having aircraft fall apart in flight. Coincidence? This "kit" is merely the allowing of the power train to be overtorqued repeatedly with a lifetime penalty on the related components. Check it out. I would like to correct one of the facts you quote. I spent a lot of time trying to find out what Medicare pays for air ambulance transport because I currently have an invoice and was curious to know what medicare payment is typically accepted by Air Evac. This was even more important to me because I had been told that the payments from Medicare are what made this business profitable. Medicare pays much more than the $500 a patient you quote. I invite anyone interested, including patients of Air Evac that are being gouged to look at what medicare pays. In the spreadsheet look at column C codes A0431 and A0436 for base rate and mileage respectively. So for example if you lived in Mississippi, Medicare actually pays $3307.89+$21.53 for each mile flown. For a 31 mile trip the total would be $3975.32. If Air Evac charged you as as an uninsured individual, the charges would be approximately $17,000. Both numbers are not quite the $500 number you quote. Maybe Air Evac should publish what they charge and what they actually collect when they fly around doing their work. We all accept that the $3975.32 would be an acceptable charge in a life threatening situation. On the other hand, the $3975.32 or $17,000 charge for a non-critical situation is a despicable example of profit driven greed. My experience has shown that Air Evac does not appear to have any impartial system for reviewing cases to see if air transport was really required (please note I used the term impartial). Air Evac (and others), lets make sure we do a better job to only transport life threatening situations. When looking at Air Evac and their crash records. Did you take into account that they have purchased Eagle Med out of Wichita Kansas and are the brother/sister company of Med Trans. Just wondering what their numbers are as Air Evac/Eagle Med in Oklahoma had a crash with 2 fatalities. How does that change the numbers of the company as they are all under one holding group? and I urge people considering a "contract" relationship with a helicopter EMS provider to do so. Why and how Air Evac operates their membership program is much different than most other air medical membership programs. Air Evac Lifeteam's so-called membership program is extremely profitable selling membership programs through a telemarketer approach. This differs from a majority of other air medical membership programs. Most of the membership programs in the pacific northwest for instance are affiliated with not-for-profit hospital systems or transport programs. Exceptions are Life Flight Network, REACH, Emergency Airlift and PHI who operate similarly to Air Evac. Some of the programs that currently make up the Association of Air Medical Membership Programs not only offer reciprocity with one another, but also include ground ambulance services in their membership. According to www.firemed.org membership programs for ground ambulances services are availabe throughout the entire state of Oregon. The same case can be made when comparing membership program models with air ambulance program models. Look at Why and How the programs do what they do before assuming they all operate, market and compete like Air Evac Lifeteam and Life Flight Network. I think that there are some points being missed. Yes there are for profits just like there are non-profits and everyone has to make money to stay in business, but to what extent? The air medical industry does have a certain inherent risk associated with the process. The question is how can we do it better and smarter so as not to end up as another statistic in a long line. I once talked to an AEL nurse at an ENA conference several years ago. Her answer about this concern was “Well we have a lot more aircraft and fly a whole lot more people so you would expect us to have more accidents”. This was totally the wrong answer and this type of mentality is what is bad for the industry as a whole. The answer is that there should be ZERO tolerance or expectations of an accident happening and everything is being done to make sure it doesn’t happen. Just curious as to what Air Evac has done to wrong you Ms. Negroni, as you seen to slam them pretty heavily in this blog. It might lend more credibility to your argument if you didn't present such a one-sided case. A true opinion journalist can prove a valid point by showing ALL sides of an issue, not just the side that supports their opinion. Other sides of THIS issue may include: safety/crash statistics from MULTIPLE air ambulance services, ground ambulance crash/safety statistics as well as who decides on whether a patient flies and the criteria for flight. Everyone is entitled to his or her own opinion. However, I would just hate for your readers to only be provided with half of the information needed to form their own opinions. I think the other side of this argument (as anonymous October 14, 2010 3:12 PM mentioned) is represented well by the established companies doing business in this area. The "one-sided" case you slam Ms. Negroni for highlighting, is the side that is usually not discussed by the private, entrenched, air ambulance industry. 15 years 12 accidents around 40 people dead (math might be off I just multiplied 12 accidents with 4 people on board taking into account all of them died that would be 48 people but it's lower). 1 commercial airliner down around 121 people dead, still ONE accident for the records. Taking that into account AEL has more accidents but fewer people dead. At that rate it would still be decades for the air ambulance industry to catch up. It's easy to make the numbers say what YOU WANT THEM TO. Spin it any way you want Ms. Negroni, your a sham journalist that lets your personal bias write your stories. The thing people need to remember: big targets are easy to hit even if you have horrible aim. Anyone can take statistical data and warp it into slanderous nonsense. Also, if a MedEvac company purchased every medical helicopter in the United States, naturally, the number of accidents that company experienced would also increase. Thats because this is an industry-wide problem, not a specific company problem. The girl someone spoke with at the ENA conference probably learned how to figure things like this out in grade school math. Obviously not an experience everyone posting on this blog has had the luxury of attending. It's really sad to see so many misinformed people making comments bashing Air Evac. I supposed it's easier to believe what you've " heard" then" filter out" anything positive to support your initial beliefs. I almost did'nt comment here it's so closed minded and self serving. Have there been accidents?, Yes. Are they flying people that may have been transported by ground & been OK? Occasionally, but only after being requested by a professional( paramedic, nurse, PA, MD etc.) that is willing to sign stating. "I believe this person requires air medical transport due to their medical condition, urgent needs, rural location,etc.." Has Air Evac spent more money on improving their safty training & equipment than any other air medical company in the world? Yes. Have there been literally "Hundreds of Thousands" of successful flights of "Critically Ill" or "Trauma" patients that are alive & with their families today that would have suffered an ill fate had Air Evac Lifeteam never been founded? Absolutely, Yes!! Are there faults with the company? Yes. Do they care about what they do & doing it safely? Yes!! 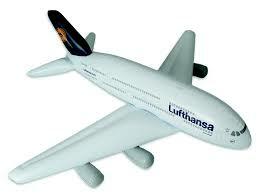 Now ask yourself how many ground ambulance accidents occur annually resulting in fatilities of the crew &/or patient. You'd be hard pressed to find such information as easily as you can with Air Ambulance because of the media coverage & interest in " A Helicopter Crash Kills ...." rather than "An ambulance struck another vehicle killing....." All in all...I can honestly say that I do know the facts & that most negative comments posted here are obviously made by very opinionated & misled individuals who have no idea what they are talking about. That , my friend , is a fact : ) Keep up the great work Air Evac !! Over the past 8 years in my area alone, I "PERSONALLY" know of eight people who's lives were saved because of your sevices !!!!!! I never understand why there is so much animosity toward Air Evac in particular. There seems to be a lot of assumption and hearsay toward the company and its safety record. Comparing a company with 95 bases to companies with 5 bases will give you a rather slanted view of safety, unless you use an equal comparison, like accidents per 100,000 flight hours. The company uses the Bell 206 because of its safety record and its cost of operation. When the infamous bolt was found to be defective, the company proactively grounded its entire fleet, just to check for others. This was a tremendous cost to the company in the name of safety, yet people like you want to portray it in the opposite light. What do you want the company to do? The Helicopter craze is just one example of why the US healthcare system is so expensive. We frequently employ the most expensive "treatment" even though it doesn't result in any improvement in results. On October 30, 2010 I was transported by helicopter 65 miles. A ground ambulance would have gotten me there in a similar time frame at a fraction of the cost, but they didn't want to make the drive and so I got stuck with a whopping $20,000 bill of which my insurance company paid $5,000 of. The US has the most expensive healthcare system in the world for no other reason that for profit companies are successful at selling expensive un-needed services to the patients. To the Anon who said that the author's facts and statistics are skewed, what would you have to say about the AEL crash(es) that have occurred SINCE this article was written? I just learned that one of my former coworkers was the flight medic killed in the AEL crash in Manchester, KY. I'm pretty sure that there has been AT LEAST one more (fatal) since the date on this article. Those still supporting AEL need to realize that maybe, just maybe, there actually IS something wrong with this company. It looks to me like the Australians put a higher value on patient safety than do the majority of the HEMS operators in America. Here’s how I came to that shocking conclusion. My wife and I just returned home from Australia. We were flown there by the Aeromedical Society of Australasia so that I could deliver two keynote speeches on HEMS safety at their 25th Scientific Meeting of HEMS operators there. Philip Hogan, an Australian speaker at the conference, announced in his 45-minute speech that legislation in Australia is going to be enacted to make HEMS programs there safer than they are already, making it mandatory for all air ambulance programs in Australia, helicopter and fixed-wing, to conform to part 121 airline standards of operation. What that means for Australian HEMS includes mandating the use of twin-engine, fully IFR, category A, class 1 performance helicopters using two flight crew. Their action shines a spotlight on the high moral thinking of the Australians who put lives before dollars because, as Phil said in his speech, and please listen carefully, “A patient does not have a choice to decide if they want to ‘buy a ticket’ to accept a certain level of risk by being transported on a HEMS helicopter so those patients who cannot chose for themselves, must be given the highest level of safety that can be afforded to them.” Wow! In my mind, enacting similar legislation in America would most certainly stem the terrible accident rate that has plagued the industry for the past 34 years. While I was in Australia, I received an email from a former Continental Airlines pilot who had retired five years ago and decided he missed flying and wanted to get back into flying HEMS. Here is what he said. “I started asking around with some local EMS programs what jobs were available, and what the employment conditions were like. I was soon offered a job flying a single-engine helicopter. I really wanted to get back into flying helicopters, and was tempted to take the job, but declined the offer. A major factor in my decision being I considered it too dangerous to routinely fly a single engine, single pilot, VFR equipped aircraft at night even with the use of NVGs.